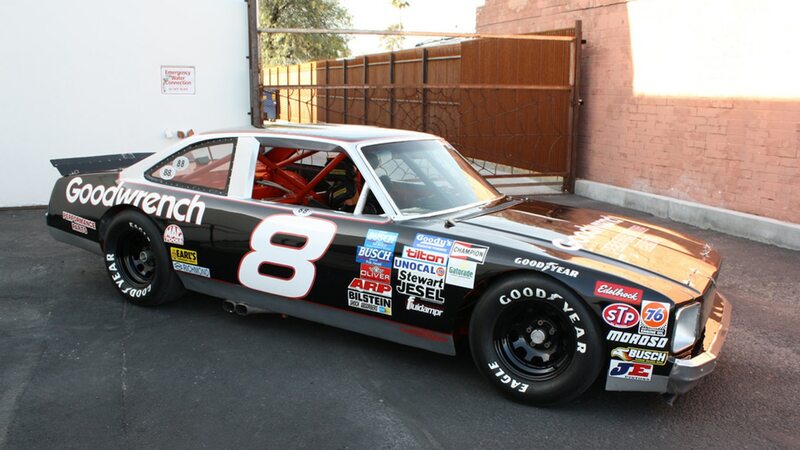 If you’ve spent much time on eBay Motors, you know it’s pretty common to see old NASCAR race cars get auctioned to the public. They aren’t nearly as common as customized Jeep Wranglers or conversion vans, but you can usually find at least one up for sale at any given moment. 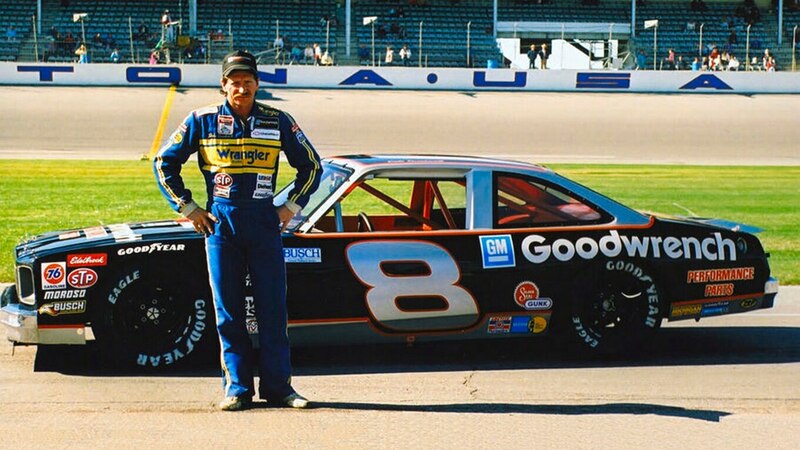 But typically, those cars haven’t been raced by Dale Earnhardt. The one you see here, on the other hand, has. Granted, it’s not a No. 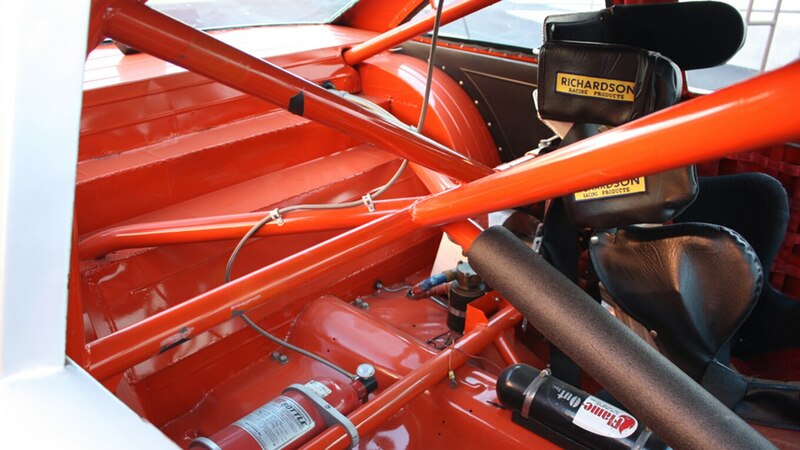 3 car, but this 1977 Chevrolet Nova race car is still a genuine, Earnhardt-raced piece of history. 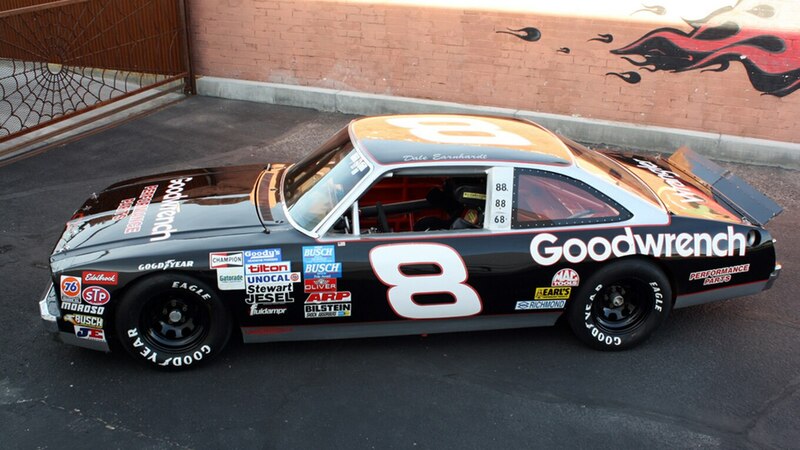 And it’ll be up for sale at this year’s Barrett-Jackson Palm Beach auction. 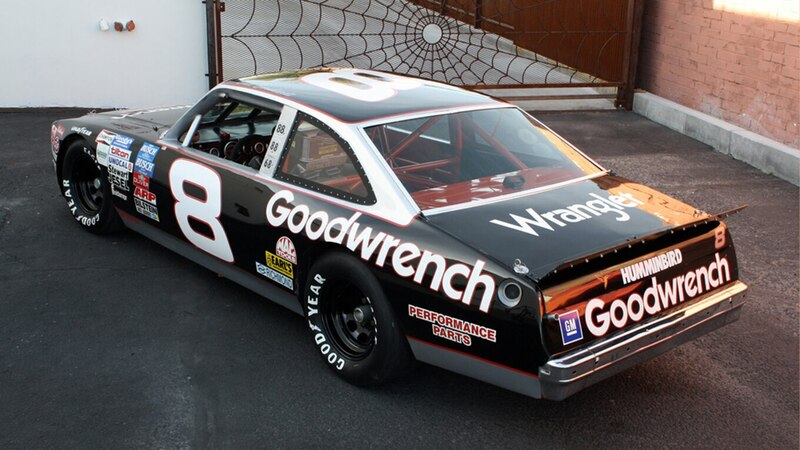 According to the listing, this car was originally a Pontiac Ventura, but Earnhardt’s brother-in-law Robert Gee Jr. converted it to a Nova because those bodies were more aerodynamic. 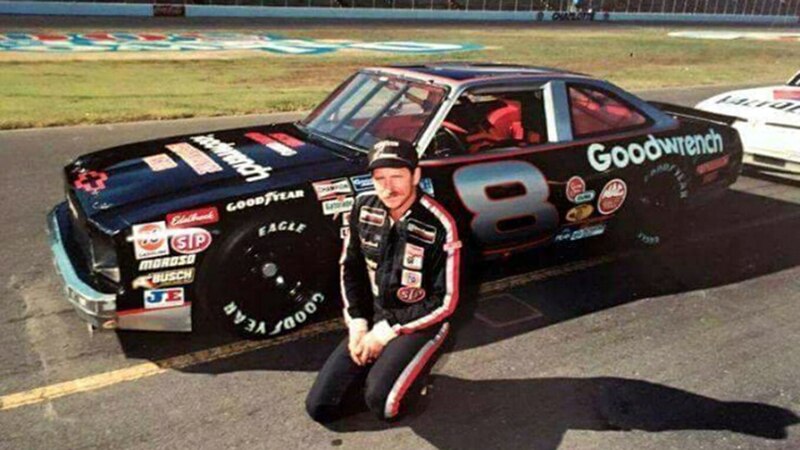 In 1986, Earnhardt drove the No. 8 car to victory at the inaugural Busch Series race at Daytona, and it was also the first to get Goodwrench’s black and silver paint job. 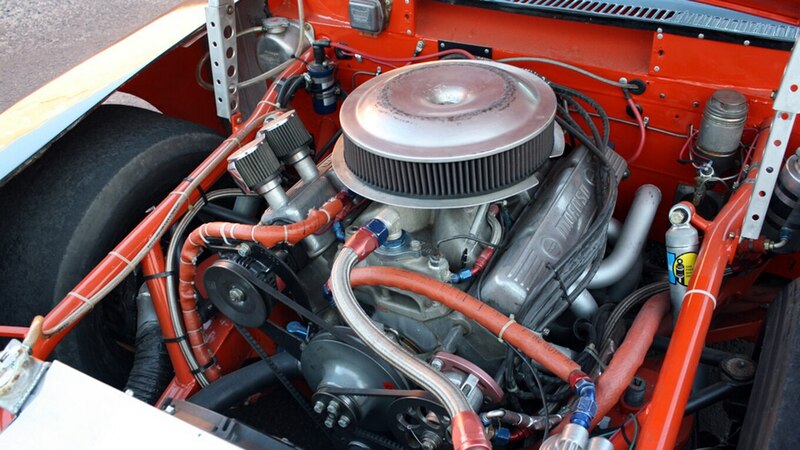 Under the hood, the car still runs its 358 NASCAR V-8 making about 700 hp. 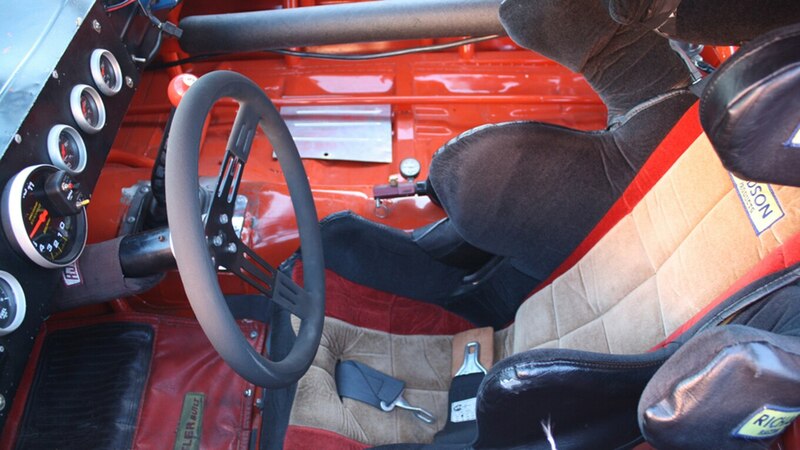 All that power is sent to the rear wheels via a four-speed manual transmission. And while you’ll probably want to get a professional inspection before hitting the track again, the seller says it has been used for vintage racing since the 1990s. In 2005, 2006, and 2009, it was driven at the Goodwood Festival of Speed, with other appearances at the 50th Anniversary of Daytona Speedway in 2009 and the Rolex Monterey Sports Reunion in 2012. 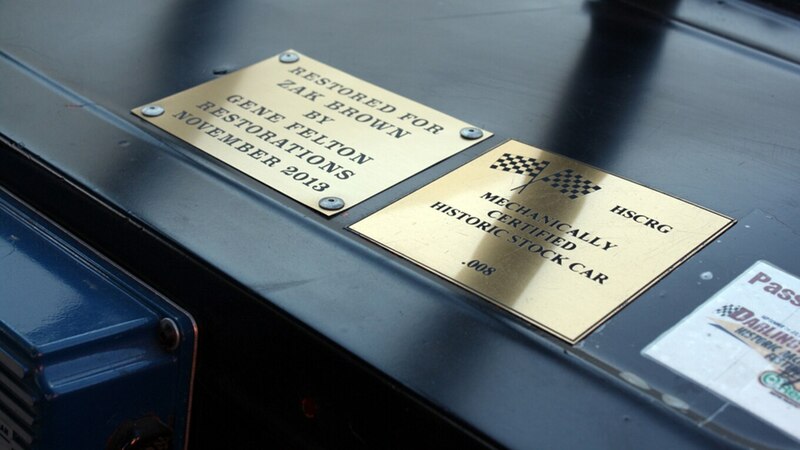 Something tells us that due to the car’s provenance, it won’t be cheap. But come on. 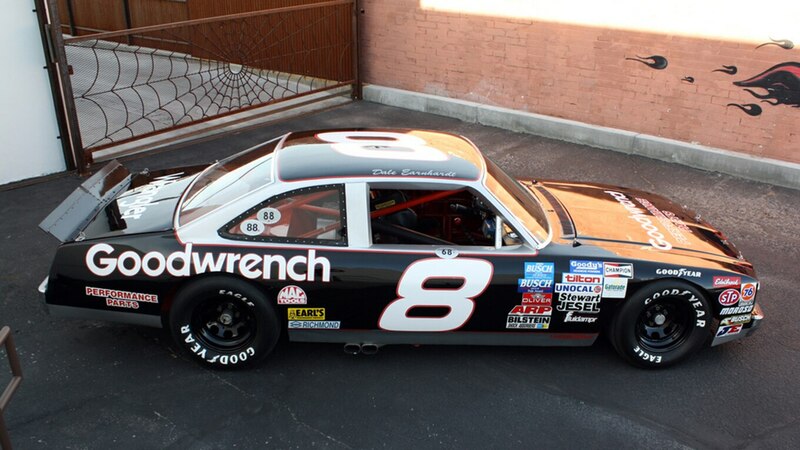 How often do you get a chance to buy one of Dale Earnhardt’s old race cars?